Eastern America’s largest and most popular caverns, Luray Caverns, are a must-see U.S. Natural Landmark.Part of the Shenandoah National Park, they weren’t a far drive from the Massanutten Resort where we spent the week, enjoying family time together and the gorgeous Virginia Fall scenery we were hoping for. Exploring the wonder that is the caverns, turned out to be entertaining even for the short attention span of our five-year-old daughter, Reagan. She immediately took a liking to our guide, Sarah, which may or may not have been because of Sarah’s accent and the fact that she has the same name as Reagan’s best friend. As we wound around the paved walkways through cathedral-sized rooms with ceilings as high as 10 stories, and others not much higher than 7’, Reagan made sure to stick close to Sarah so she could hear every word of the history of how the stalactites (which hang from the ceiling) and stalagmites (that build up from the floor) formed over the past 400 million years. So, how do you keep small kids entertained with a full hour of gazing at calcite formations? You name them of course. Throughout the tour, Sarah introduced us to Titania’s Veil, Pluto’s Chasm, Dream Lake, the Fried Eggs and many more formations. 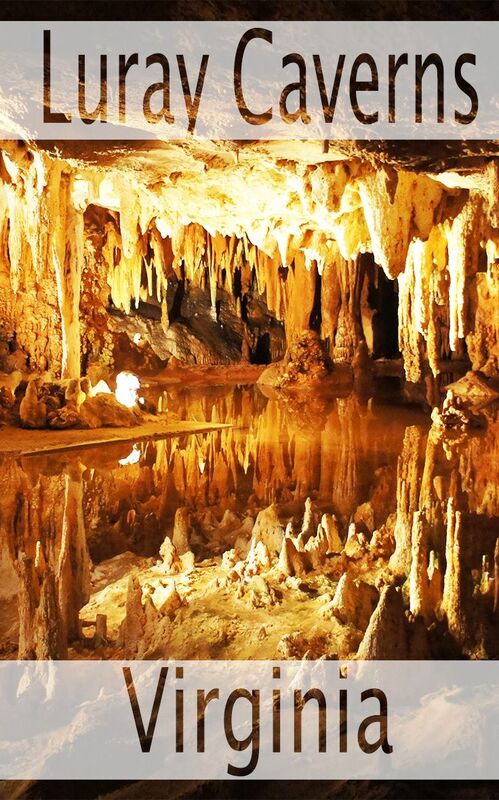 All of these beautiful works of nature were named by either the town of Luray’s tinsmith who discovered the caverns in 1878 along with his nephew and three other men, those that have worked there over the years or scientists who have studied the caverns. One of the most amazing parts of the tour is the Stalacpipe Organ, the world’s largest musical instrument, as featured on Ripley’s Believe it or Not. In the area known as the Cathedral, there are some 3 ½ acres covered by stalactites that produce a series of melodic tones when tapped with rubber-tipped mallets. The discovery and resulting electronic organ was conceived and built by a visitor to the caverns, Mr. Leland W. Sprinkle. Mr. Sprinkle also happened to be a mathematician and electronics scientist from the Pentagon. It took 36 years of design and experimentation to bring the organ to life. The new Luray Museum, a collection of local, restored buildings that create a small, 19th century farming community. The Car and Carriage Caravan exhibit featuring all transportation-related items including cars, carriages and coaches dating back to 1725. The Garden Maze – one of the largest hedge mazes in the Mid-Atlantic States. Chris is a designer, WAHM and pilot’s wife living in Aurora, Colorado. She writes about family travel standby as Standby Traveling Mom as well as at MamaBirdsBlog.com. Follow Chris on Pinterest and on Twitter as @BirdBanter. 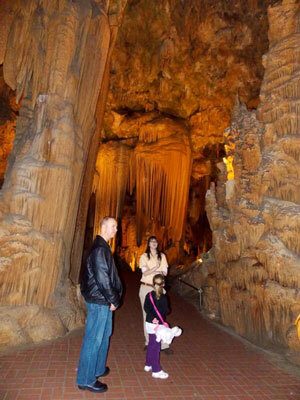 Disclosure: Luray Caverns hosted my family and I for the purposes of writing this review. No other compensation was provided. All opinions expressed are my own and without influence by Luray Caverns.